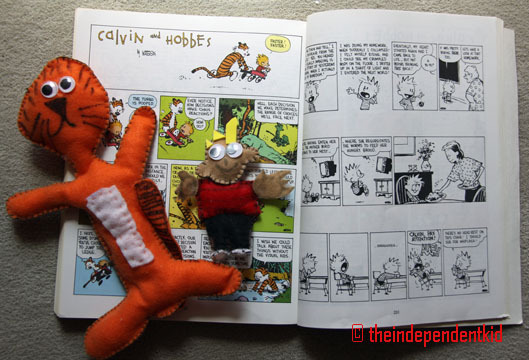 Bill Watterson inspired me to make Calvin and Hobbes toys. I made these out of felt. I drew and designed them and my mom cut out the pieces and sewed them together.